The new issue of Lonny is out today. Seems like I'm always an issue behind, but I love every moment of every page. Get it while it's hot. Carter is running a marathon this weekend. As in 26.2 miles of non-stop motion. With sweat. And pain. I can't fathom it. And he can't fathom spending 6 hours in a fabric store. And to be honest, by the time I'm done with a fabric run, I have likely traversed 26.2 miles myself. With sweat. And delight. I will be cheering him on as he completes this feat of strength this weekend! Hope you all have wonderful weekends...see you Monday! 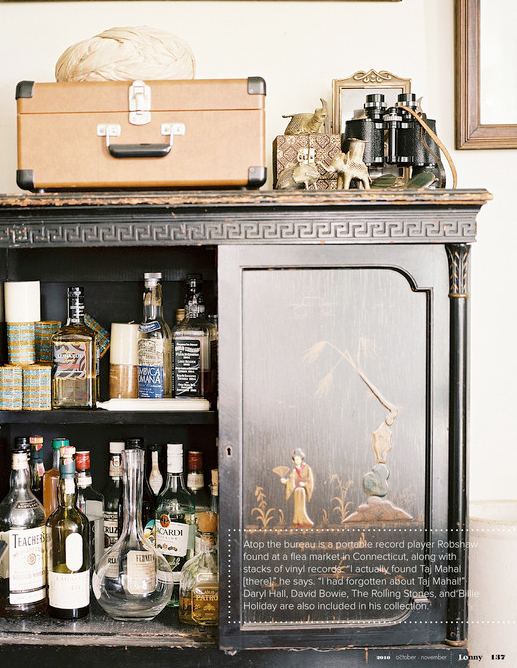 I absolutely adore this bar set up. Hope to try to recreate!